Live in the heart of Evergreen in this lock-&-leave, just the right size 3 bedroom, 2 bath town-home. 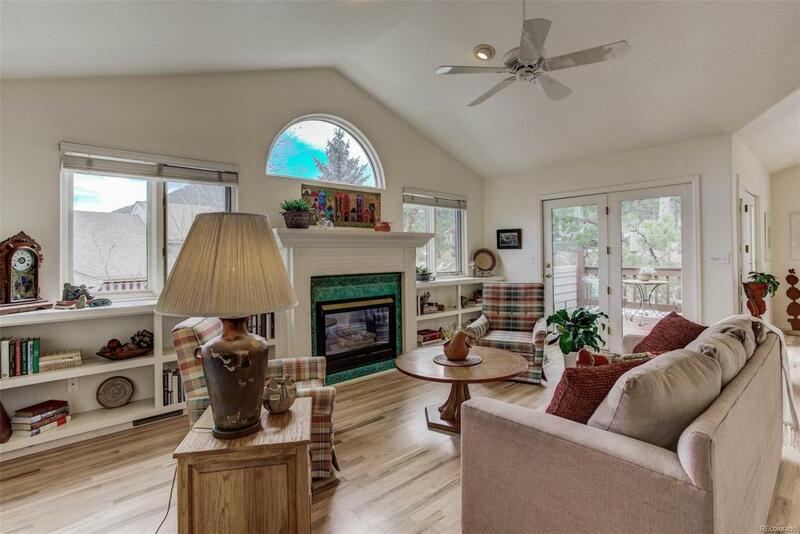 Vaulted ceilings and skylights enhance a spacious & airy open floor plan with main floor living. 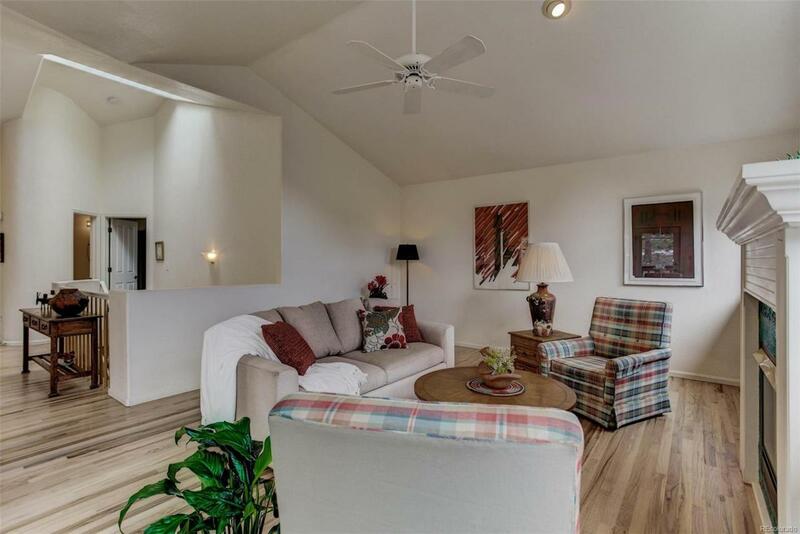 The living room features a gas fireplace, built-in bookcases and access to peace and quiet on the secluded deck. A spacious dining area opens to the kitchen with a breakfast nook. The large master bedroom has a 5-piece en-suite bath and a roomy walk-in closet complete the main floor. 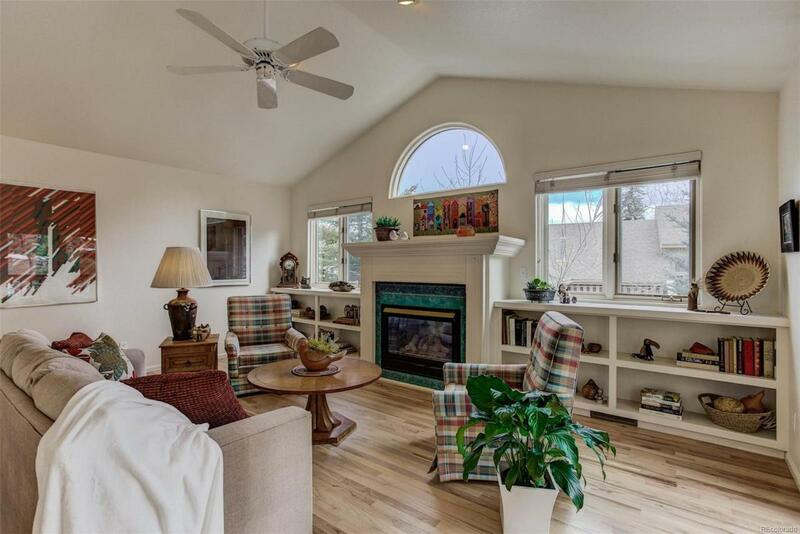 The natural light-filled lower level includes a family room, with option for another fireplace, two bedrooms, and full bath, as well as a laundry room with a utility sink and a 2-car attached garage. 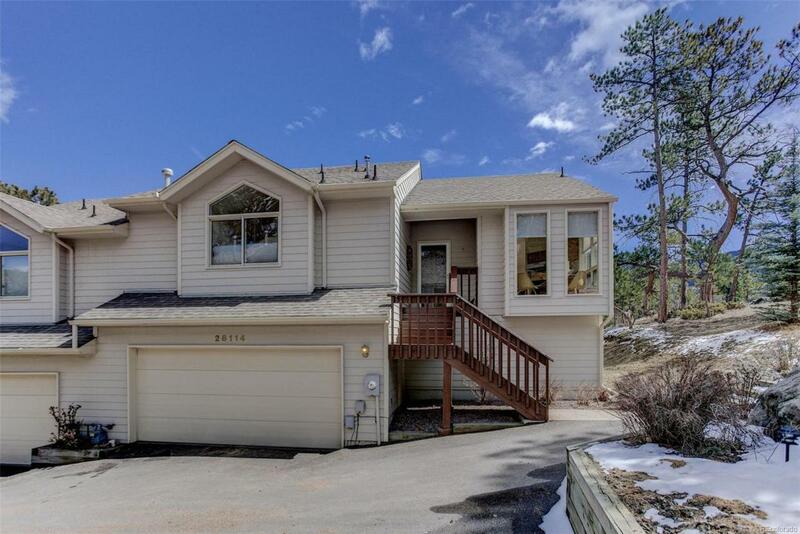 Minutes to downtown Evergreen, the lake and Dedisse Park; easy access to the mountains or the city. Newly re-finished wood floors, move-in ready condition, and a perfect location make this an inviting place to call home! Offered by Coldwell Banker Residential 28.